Certified Black Angus? Black Angus? Angus? Or how about just plain Hereford? Hey, I love a nice juicy steak, but I like to know what I’m paying for. Turns out labels like “Certified Black Angus” don’t really mean all that much. 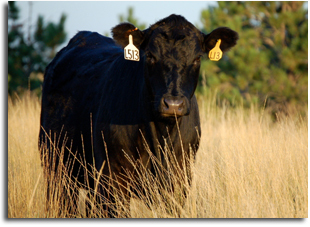 What counts is whether that Black Angus beef is Prime, Choice, Select, Standard, or Commercial. When was the last time you saw any of those words on a label in your local supermarket or on the menu at your favorite restaurant? Well, the way I see it, supermarkets and restaurants want to sell you the cheapest beef they can get at the highest prices they can get. Why not? That’s their business. To make the best profit they can. So they put a fancy label on their beef and try to razzle-dazzle you into paying extra for it. At least the folks over at CelebrityFoodsBeef.com give you enough information to ask the right questions. Next time you go to your local supermarket or restaurant, ask them outright what kind of beef you’re getting for your money.